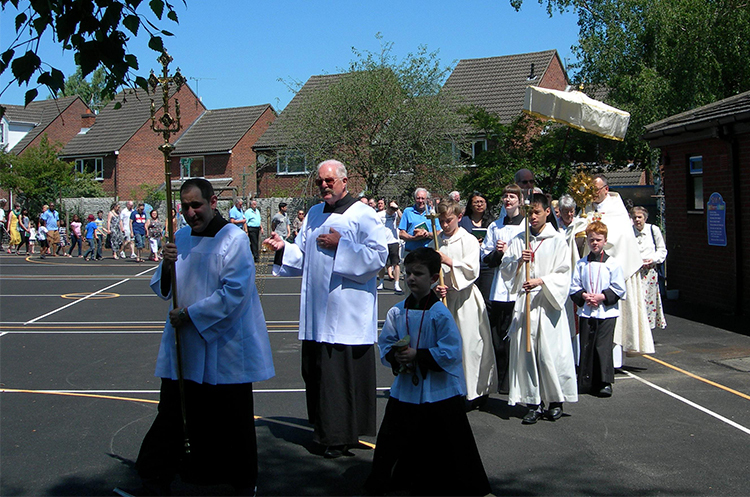 As many of you are aware, there will be a National Eucharistic Congress taking place in Liverpool from 7th-9th September this year, and a few parishioners will be attending some of the events. However, I would like us to commemorate this important event in the life of the Church in England and Wales in our own Parish by having a special Solemn Mass on Sunday 9th September at 10.30am at which a number of priests will be concelebrating. Fr Anthony Meredith IC will be the preacher. To emphasize the importance of this event, it will be the only Mass at St Mary’s that Sunday, so I hope as many parishioners as possible will attend. 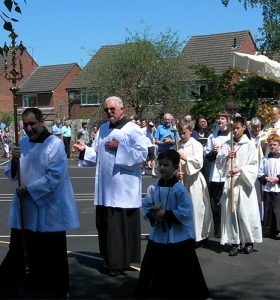 The Mass will be followed by a Procession of the Blessed Sacrament around the grounds of the church concluding with Benediction. It is our firm belief as Catholics that Our Lord is truly present in the Holy Eucharist under the appearance of bread and wine after it has been consecrated by the priest at Mass, which means He can be adored there. As the priest carries the Blessed Sacrament in the monstrance, it is JESUS really walking among us. And it was precisely in order to celebrate the greatness of the gift of the Holy Eucharist that the Church developed the custom of Eucharistic Adoration and the custom of Eucharistic Processions. 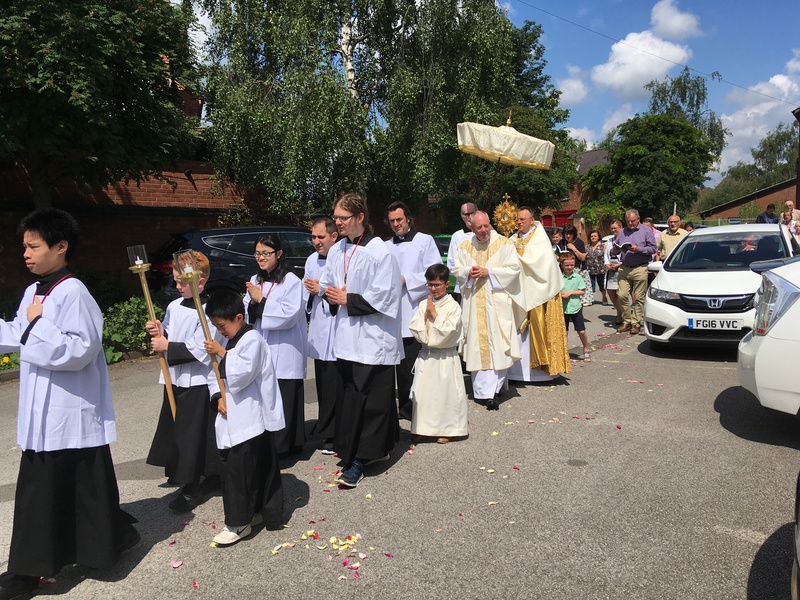 The Mass and the Blessed Sacrament are the very centre of our Faith, and in our society which is becoming increasingly secularised, it is important that we give a strong external witness to what we believe in public. Our Lord Himself said, “Everyone therefore who acknowledges Me before others, I also will acknowledge before My Father in Heaven” (Matt 10:32). 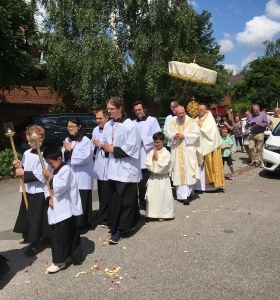 Although this particular Procession of the Blessed Sacrament will be confined to the church grounds, this will hopefully develop into something bigger next year. But we have to start somewhere! Many graces can be obtained by carrying Our Lord through the streets. Please all support this important event, and it will be yet another excellent opportunity for the parish to come together as a whole.